Sports injuries are a common issue in children. You cannot stop them from playing and you rightfully shouldn’t since it fosters their mental development. You can, however, invest in mouth guards and other dental protective devices to protect their teeth from sports injuries. There are unfortunately times when your child might still have their teeth injured during play. One of the common dental sports injuries is a fractured tooth. Rather than get a pediatric dentist from Salt Lake City to handle the fracture most parents will ignore it. They assume that it is a minor inconvenience more so when it affects primary teeth since the teeth will eventually shed. Fractured teeth are however susceptible to decay owing to the exposure of their inner layer to various elements. They might also be sensitive to temperature changes and will hence be a source of considerable pain for your child. Here are some dental management options for your child’s fractured teeth. In this procedure, a tooth-colored resin is bound to your child’s tooth to repair the fracture. The resin forms a perfect fit with the remaining tooth since it is customized. Tooth bonding is one of the least expensive and fastest procedures and will restore the tooth’s natural look while protecting the inner layer. The composite resin used is however not very strong. As such bonding is not generally used for fractured front teeth. For very deep fractures, dental crowns combined with a root canal are the ideal management option. The root canal will get rid of any debris which might be lodged in the tooth interior surface while the crown restores its look and functionality. The dental crowns are stronger than the composite resin used in bonding and longer lasting. There are several types of pediatric dental crowns, including stainless steel, ceramic, and polycarbonate crowns. These are thin plastic or porcelain layers, fitted over your child’s tooth. They require minimal tooth preparation before fixing them and are strong and durable. Porcelain veneers, however, work best for teeth that are minimally chipped. If the chipping of your child’s tooth is only on the surface and very small, cosmetic contouring might be its answer. The technique involves polishing the rough edges of the cracked tooth to blend the crack. This way, the fracture on the tooth is not readily evident. For teeth with very deep fractures, extraction is the ideal solution. There are two methods of tooth extraction including simple and surgical extractions. 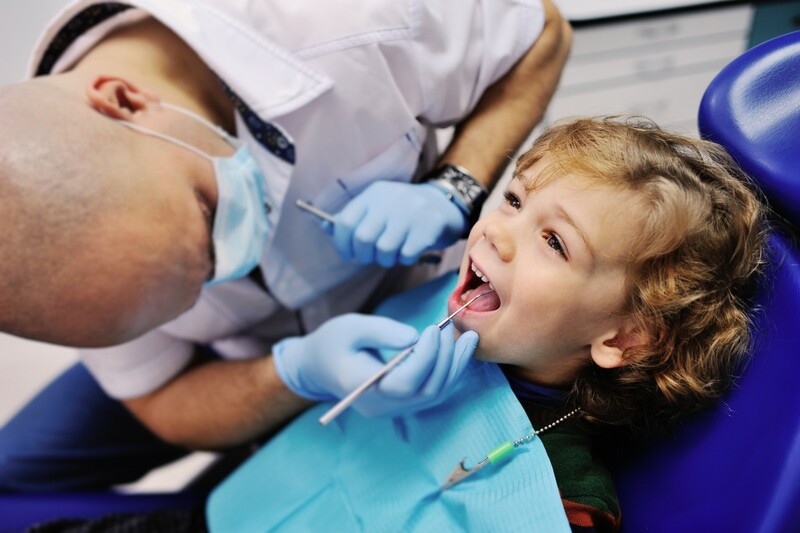 Sedation is used in both extraction methods to make the child as comfortable as possible. After the removal, the dentist will recommend a space maintainer for primary teeth and a dental implant for permanent teeth. Dental fractures are among the few dental emergencies in children. As such, it is essential to get your child to a dentist within 24 hours of the fracture. 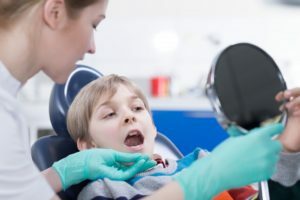 This way, the fractured tooth will not have exposed the rest of your child’s teeth to bacteria which gains entry into the pulp cavity through the fractured section.